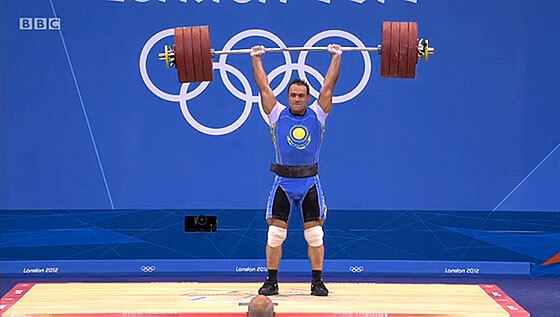 Some lifters are very lucky. They train year after year, decade after decade, performing every popular resistance training exercise, and their bodies handle it like a boss. These people have anatomies that are well constructed to tolerate full range of motion exercises in every direction at every joint. However, other lifters are not so lucky, and they inevitably encounter exercises in their training that don’t seem to agree with their structures. Before I go further, I’d like to expound upon the topic of pain. It is important for lifters to know that anatomy isn’t automatically to blame when pain arises. Biomechanics, structure, and posture can indeed cause pain, especially with regards to heavy and explosive strength training, where large loads and stresses are placed upon the body. This is even more pertinent with regards to powerlifting and maximal strength training, where large emphases are placed on setting PRs and progressive overload. However, in the grand scheme of things, biomechanics, structure, and posture only encompass small portions of the entire pain picture, which involves biological, psychological, and sociological components. Moreover, sometimes there are other culprits, for example, poor program design, deconditioned muscles, or suboptimal technique. That said, I would like to be very clear about something. No exercise is worth doing if it consistently causes pain or injury. This applies to squats, deadlifts, Bulgarian split squats, bench press, military press, chin ups, dips, curls, and even my pet exercise: hip thrusts. There are plenty of ways to hammer the muscles, and you’ll see better progress over the long haul by focusing on the exercises that best agree with your body. A body that is free of pain is a happy body. Pain alters muscle activation and can create compensatory movement, which can lead to problems elsewhere in the body. Therefore, you want to avoid stubbornly grinding through painful exercises. This is the obvious answer. Try to find one that regularly works with athletes and lifters. Several ways could work here, but you could use around 80% of typical loads and perform the same number of reps with better form. Or you could use around 65% of typical loads for higher reps with better form. Finally, you could use around 50% of typical loads and perform pause reps or dynamic effort reps with better form. Instead of performing the exercise three times per week, go with once or twice per week to allow for more thorough recovery. Alter stance width, foot flare, grip width, grip angle, bar position, depth, and/or posture. Technique on a given exercise can improve if the poor form is not due to anatomy but is instead due to mobility deficits, joint stability deficits, or poor motor control. Therefore, any exercise or drill that strengthens weak muscles, increases mobility, or improves coordination could lead to better technique. Depending on the particular situation, RKC planks, wall ankle mobility drills, glute bridges, lateral band walks, side lying clams, hollow body holds, prone trap raises, scap wall slides, walking knee hugs, and shoulder towel stretches could be of value. Instead of back squats, go with front squats or box squats. Instead of deadlifts, go with rack pulls or trap bar deadlifts. Instead of barbell hip thrusts, go with American hip thrusts or single leg hip thrusts. 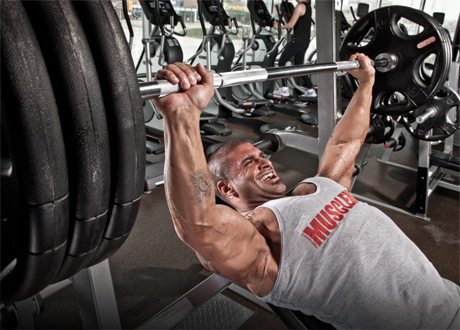 Instead of bench press, go with close grip bench or dumbbell bench press. You get the gist. If you normally perform the exercise in the middle or end of a workout, performing it first could allow you to better focus on form since you won’t be neuromuscularly or mentally fatigued. If you normally perform an exercise at the beginning of a workout, performing it at the end might be of value since you’ll be more thoroughly warmed-up and you might not be concerned with the loads you use since you’ll be too fatigued to consider going for strength records on that lift. This strategy mainly applies to new movements that feel uncomfortable and painful due to external pressure. For example, when you first start performing high bar back squats, low bar back squats, front squats, and Zercher squats, it hurts because the bar is digging in to the body. The same thing applies to learning the hook grip when deadlifting and with barbell hip thrusts. However, after several weeks, the pain subsides as the body gets accustomed to the stimulus. Hopefully, employing one of these suggestions does the trick. But if it doesn’t and the issue doesn’t clear up, then you should drop the exercise from your program and increase volume with other exercises in order to make up for the eliminated exercise. For example, let’s say that you remove all forms of bilateral deadlifts from your training. Exercises such as front squats, kettlebell swings, single leg RDLs, hip thrusts, glute ham raises, bent over rows, and grippers will allow you to retain most of your deadlifting strength even though you won’t actually be deadlifting, so pick a couple of them that you feel best target your weak links and make sure to regularly include them in your training. When the issue clears up, don’t rush back into the problematic exercise full bore. Instead, give the body some time to strengthen and the brain some time to build confidence. After a few months, you may go back to the once problematic exercise and see if your body can better tolerate it this time around. Often this is indeed the case, but make sure you adhere to a graded approach and ease back into the exercise gradually. If this occurs, then voila, you’ve solved the problem. But if the exercise still causes issues, then eliminate the exercise again but for a longer period of time – perhaps 6 months or even indefinitely. Strength coach Michael Boyle refuses to allow his athletes to continue to perform an exercise if the athlete has injured him/herself on three occasions with the same movement. Don’t feel bad about eliminating an exercise that isn’t good for your body, you’ll be far better off in the long run. Don’t stubbornly grind through pain. Work around pain and teach your body to be confident with resistance training. Most serious lifters can’t regularly perform every major exercise. For example, I can’t perform chin ups or dips very often anymore. Although these were two of my go-to exercises throughout my first two decades of lifting, they now irritate my shoulders and arms, so I rarely do them. However, my pectoral, lat, and arm hypertrophy have not suffered because I can still perform heavy bench press, incline press, rows, and deadlifts. Each of my powerlifting friends have certain movements or variations that they have to avoid, and they had to learn this the hard way. Anatomy varies dramatically from one person to the next, so we should hone in on the movements that best suit our musculoskeletal systems. I’ve been doing Turkish Get Ups as warm up recently, progressively going heavier and heavier, starting quite light (12kg, 3 reps on each side) and going heavier towards the end (now up at 24kg for 6 reps each side) and I feel amazing in all the joints affected, which is basically every joint! I used to have terrible shoulder pain, probably stemming from when I was a stick and I went in cold to do push ups, and later went to the gym doing barbell exercises without really knowing how. If I could give one tip for others to try if they’ve experienced pain and want to eliminate it while getting stronger, I’d say give TGUP a try. Great list! All the above suggestions have served me and helped me achieve lifetime PRs even with plenty of breaks for injuries. I would add two more tips: have a trainer or trusted friend review your form and continue studying proper technique from the experts. These two things happen on the GetGlutes forum and I fully credit the excellent coaching and form reviews for my PRs and reduced injury rate this year. 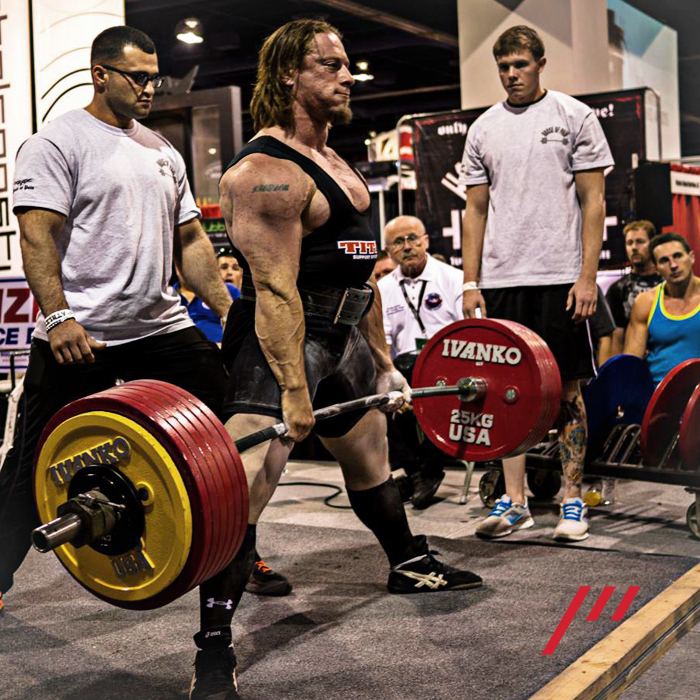 For example, deadlifts have always caused pain because of the common cue to arch. It is amazing to finally know how to do them properly and be approaching elite levels of achievement. i was doing wide dips and prob didnt warm up well once. developed a little niggle. switched to decline db press. niggle still there. so i just am not going as deep because that is the part of the movement where i feel it. hoping time will do the trick. Like I always say creating muscle growth is a matter of time, step by step process, performance development , good execution on the routines and positions to avoid injuries . I’ve been progressing through Strong Curves and am moving into weeks 5-8 of GG. I have been having some flare ups after performing rows, particularly single arm rows. Any suggestions for alternatives so I don’t lose my progress? Thank you!